The European Commission last week unveiled its proposal for a European Border and Coast Guard to replace Frontex, the existing external borders agency, which operates on a voluntary basis. Incredible as it may seem, the 500 million-strong European Union does not have a single, federal authority managing its borders. Frontex depends on EU members volunteering staff and equipment, and EU states at external borders requesting them. The new agency would be the first significant expansion of federalism since the introduction of the euro. 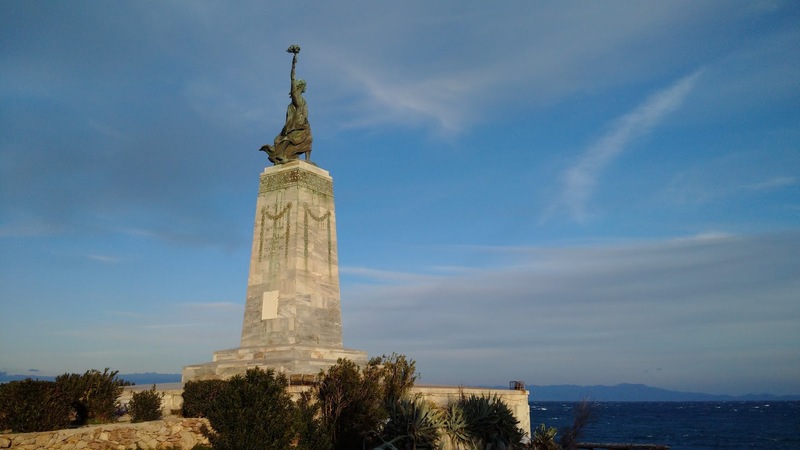 Lesvos' memorial to the war dead for the period of the Balkan Wars, World War One and the Asia Minor Catastrophe (1912-1922) faces Turkey's shores, a reminder that it was the last of these three conflicts that hurt Greece. The memorial, possibly modeled on the Statue of Liberty, strengthens Lesvos' impression as the new Ellis Island. The new Agency is largely a response to the problems Greece and the EU encountered policing the waters of the eastern Aegean. The Greeks resisted invoking Rapid Interventions, which would have forced their EU partners to cough up more staff and equipment than they had volunteered, because they wanted to prove their ability to police sovereign borders. If adopted, the new Agency would be empowered in several ways: It could unilaterally intervene at the EU’s external borders if national authorities could not or would not. To do this, it would have a standing pool of 1,500 border guards and an equipment pool. (In contrast, Frontex requested 743 guest officers to work on the Greek border this year; it received 447). The Agency would be able to launch border operations jointly with third countries and would be empowered to deport irregular migrants. Greek objections are understandable. The Greeks have lost sovereignty over financial and fiscal policy through the economic crisis. They do not wish to lose responsibility for border security as well – especially on so sensitive a border as that with Turkey, which has periodically been the focus of territorial disputes. Particularly galling is the idea of joint EU patrols with Turks and Makedonski, over which Greece will have no jurisdiction. Artists painted this face on a disused storage facility overlooking the harbour of Lesvos in the summer of 2015 - a dewy-eyed Greece looking upon the newly exiled. Running against this concern is the greater concern that Europe has to act if it is to preserve its internal open borders regime under the Schengen Treaty. France, Germany, Austria, Croatia, Slovenia, Hungary and former Yugoslav Macedonia have all temporarily re-instated national borders. The Greeks should see this as an opportunity for three reasons. First, it marks an abandonment of European hypocrisy on migration, by signalling that EU states are in this together. For years, the countries of central and northern Europe have allowed Greece and Italy to be the breakwaters for waves of refugees from the unstable, unfree or war-torn countries that surround the continent. Their voters have steadfastly refused an EU migration policy, fearing that it will involve annual immigration quotas. Eastern states rebuffed an attempt by Brussels to impose mandatory refugee quotas last May, and after the Paris attacks last month withdrew even from their voluntary quotas for refugee resettlement. Three Eastern states’ position is doubly hypocritical. Poland, Hungary and the Czech Republic were among the Soviet satellites which, after the fall of communism, produced the second-largest wave of economic migration to Europe in the last 20 years. In 2003, then still candidate countries whose EU membership was all but assured, they broke ranks with the majority European view against a second Gulf war, undermining both the basis for a common foreign and defence policy and destabilising Iraq – now one of the ten top refugee-producing countries. The Greeks have never been exemplary Europeans, but they have traditionally been pro-Europe, and this is the second reason to embrace the Agency. Eurobarometer polls going back almost two decades show that they and the Cypriots are the strongest supporters of a European foreign and defence policy (precisely because of their concerns about Turkey, now the migration gateway into Europe). They elected to remain in the Eurozone despite seven years of austerity and an on-going recession. They could now put themselves at the forefront of this expansion of Brussels’ powers by demanding that the new Agency be headquartered in Athens. The third and most important reason to embrace the new agency is that migration pressure on Europe is unlikely to stop anytime soon. This year has seen a twentyfold increase over last year of migrants and refugees crossing the Aegean – 800,000 and counting. The reasons are both political and environmental. The United Nations High Commissioner for Refugees says 13.9mn people were newly displaced due to conflict or persecution in 2014, bringing the global total to 59.5mn – the highest ever number. Three million of these became refugees – displaced outside their own country. Contrary to America’s image as the nurturer of the dispossessed and persecuted, the EU has long been the destination for about two thirds of asylum seekers entering the developed world. Over the past two decades, over six million people have applied for asylum in the EU. But this trend is increasing. In 1992 the EU faced its then-highest number of asylum applicants – 672,000 – after the fall of the communist east. Applications peaked again in 2001 at 424,000 after the end of the Yugoslav war. Last year, Europe (including the EU) received 714,000 applications, according to the UNHCR. In the first nine months of this year, EU states alone had received 892,000 and the number is expected to top a million by the end of the year, according to the European Asylum Support Office. In contrast, US asylum applications last year were 134,000, and the Obama administration has pledged itself to taking in 20,000 refugees this year. Europe is slowly awakening to the reality that it is The New Colossus. Failing states, failing environments and sectarian conflicts on its periphery will fuel migration flows for years to come. Greece, with its archipelago of islands virtually touching the Turkish coast, will remain the most attractive route for smugglers enabling their passage. For all these reasons, a European border agency is inevitable. The Greeks can embrace it, and use it to bury once and for all their image as the EU’s enfant terrible. Greek immigration policy: A lesson for Eastern Europe? When Jessica Ben Anosike was 12, her sense of belonging in Greece as a second-generation migrant was demolished. 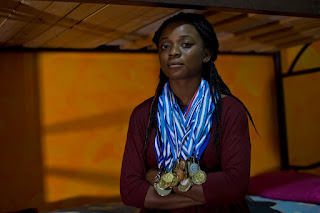 The Nigerian-born student had come top of her class in track and field, and looked forward to representing Greece in a European junior championship. Anosike still fights back tears of anger as she tells the story. “I remember that I was first and I asked my coach if I’m qualified to go, and she said, ‘well, because you don’t have the Greek passport I don’t think it’s possible to go.’ And I said, ‘can’t we do something about it?’ And she said, ‘we’ll see.’ And the next thing I heard was that the Greek girl who came in second place, she took my place as the first. Anosike, who was raised in Greece since the age of four, is now 19 and finally eligible for that Greek passport. A law passed this year naturalises people of non-Greek origin if they have attended nine years of Greek school. Anosike is among 12,000 applicants, but her relationship with Greece is broken. Aside from her loyal Greek friends, she says, “I don’t feel it’s my home or I have something here that belongs to me.” In fact, the main reason she wants her passport is to leave. “I’m in a shell trying to come out,” she says, as we sit at Melissa, a migrant women’s organisation recently visited by US Secretary of State John Kerry. To some extent, Anosike’s problems are those spurring much of Greek youth to leave the country; a jobless rate of over 50 percent, and a sense that despite European Union membership, decades of poor leadership have deprived this society of a future. Yet despite its shortcomings, Greece serves as an example of a homogenous European society implementing the rule of law and adapting to population shifts. The citizenship law is the pinnacle of that process. Even so, the bill encountered opposition. MP Adonis Georgiadis, now running for the conservative leadership, cited an ancient Athenian law in parliament, which tightened the requirements for citizenship in 451BC. The Supreme Court struck down a similar law the socialists passed in 2010, because it awarded citizenship on the basis of birth on Greek soil. Tasia Christodoulopoulou, the migration minister who passed the new law, ultimately prevailed: “We need to accept their will to be Greek citizens, which means that they will have rights as well as obligations,” she said. 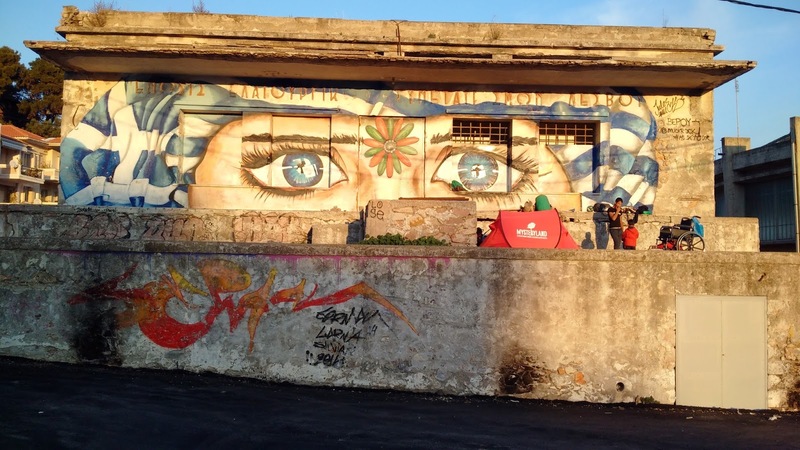 Greece’s experience of migration reflects Europe’s - but with extraordinary intensity. When the Iron Curtain collapsed in 1990, eastern Europeans flooded west. Greece became home to an estimated one million Albanians, Bulgarians, Romanians and other minorities. (A 2001 census put the figure at 762,000, or 7.3 percent of the population – certainly an underestimation, because irregular migrants tended to avoid interviews). Greece tried to develop a policy in an area where it had never had to have one. Between 1998 and 2005, three amnesties legalized an estimated half million people. The logic was that if the economy had absorbed them, the state should receive taxes and social security contributions. After the second Gulf War, however, migration from newly destabilised countries in the Middle East and Central Asia swelled; and Greece’s economic collapse following the 2008 financial crisis put both Greeks and immigrants out of work, creating a perfect social and economic storm. The right wing Golden Dawn party was suspected of being behind nocturnal attacks on migrants, which began in 2011, but this wasn’t proven at the time. The official crackdown, too, came in August 2012. The conservatives unleashed police patrols, arresting anyone without residence papers. Holding cells were filled to bursting. Detention camps held the spillover. Migrants held there spoke of unsanitary conditions, exemplary beatings, poor nutrition and little or no access to healthcare or legal aid. 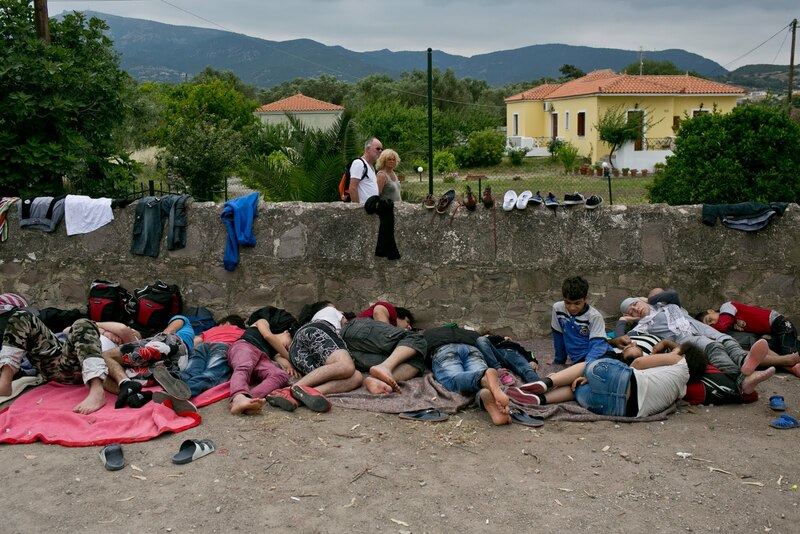 Most troubling was the practice of detention beyond an 18-month pre-trial limit, for which the European Council on Refugees and Exiles, an NGO coalition, threatened to have Greece indicted at the European Court of Human Rights. Police had for years demonstrated similar behaviour in their handling of asylum applications. Lacking trained staff, they issued only token approvals. In 2007, for instance, Greece received 20,684 applications. Police approved 140. The following year Greece transposed EU asylum directives into national law, but even then police only approved 358 applications out of 29,573. Processing took years. Many migrants filed for asylum as a way of gaining temporary residence. 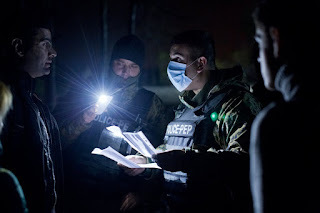 Greece became so notorious that in January 2011, the European Court of Human Rights ruled that Belgium had violated the rights of an Afghan asylum seeker by deporting him back to Greece. Under EU rules, the Afghan man’s asylum application should indeed have been processed in the EU member state where he first alighted, which was Greece; but the ECHR ruled that poor living conditions and the defective asylum procedure there put both the applicant and his application in jeopardy. Soon after, the United Nations High Commissioner for Refugees recommended that EU states refrain from returning supplicants to Greece. 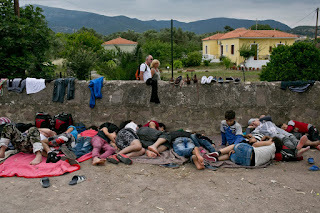 Under EU and UN tutelage, Greece again adapted. In July 2013 it set up a First Reception Service to greet migrants at the border, identify them, check their health and inform them of their legal rights. It also set up a dedicated Asylum Service staffed by lawyers. Last year the service received over 13,000 applications and approved almost 4,000. When Syriza toppled the conservatives in January, it also put an end to the illegal practice of prolonged detention. The killing of a Greek leftist rap singer in September 2013 by a Golden Dawn member led to the indictment of all 18 Golden Dawn members of parliament who had been elected in 2012 – including the party leader. They now face the charge of belonging to a criminal organisation with trained attack battalions, which masqueraded as a political party. The party still polls six percent of the national vote, but it remains marginal. Both Greece’s mistakes and its progress since 1990 stand as an example to Eastern European states, says Panteion University’s Dimitris Christopoulos, who wrote the citizenship law and chairs Greece’s Human Rights Committee. But, he warns, Greece’s is an “embryonic transition”, which “cannot be taken for granted.” The countries of Eastern Europe, which have only been democracies for a quarter century and EU members for a decade, and who themselves generated Europe’s last surge in immigration in the 1990s, now threaten that progress. Former Yugoslav Macedonia has built a fence along its border with Greece. Several eastern states have stepped back from their pledges to relocate refugees. European Migration Commissioner Dimitris Avramopoulos recently called this unravelling of open borders “the beginning of the end of the European Union”. Migrants themselves may alter Europe’s debate about migration unpredictably. Beata Pastor, who was born in Greece to Filipino parents, is also a member of Melissa. The 19 year-old believes that citizenship she has applied for will change things. “Whatever bad happens here in Greece they blame us. We don’t have the right to vote… Shouldn’t the blame go to the Greek people who vote?” she asks rhetorically.